Oliver Chapman Architects are pushing ahead with a new canal hub in Falkirk which will see a former factory reimagined as a workshop, offices and training facilities for Scottish Canals. Lock 16 Canalside Community Hub will take its place alongside other recent landmarks along the Forth & Clyde Canal such as The Falkirk Wheel and The Kelpies with the intention of establishing a common ‘front door’ for the network of waterside attractions. Phased proposals call for the refurbishment of three interconnected steel portal frame sheds to form a large open plan volume with office space to the front. This process will see existing cladding stripped and replaced with a mix of translucent polycarbonate and corrugated steel, enabling activities taking place within to be silhouetted against the facades. To further open up the interior existing boarded up openings will be reinstated while low level brickwork will be painted with ‘bold graphics’ to help jazz up the environment. In a supporting statement the architects wrote: “The impressive roof structure and abundance of light in the central shed makes it an ideal space to house the main entrance lobby for the building as well as an open plan third party space. “The smallest shed will house the public functions; the classrooms, records store and visitor facilities as well a five smaller third party units for let. 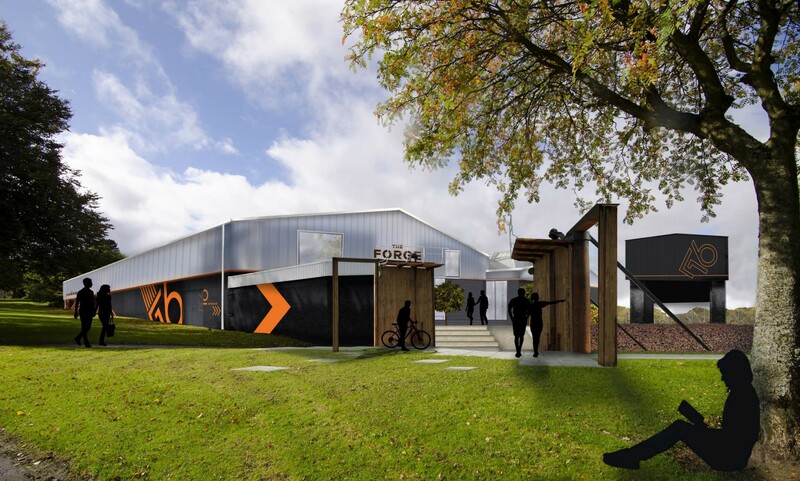 A separate garage structure will be transformed into an ‘activities hub’ under the plans. I think its a great shame that there has been no reference to the building's rich history in the proposals. Falkirk council should be ashamed at this proposal. Generations of Scottish Bairns were given sustenance, happiness and wrotten teeth by the golden elixir that was once distributated from the portal framed cathedral. 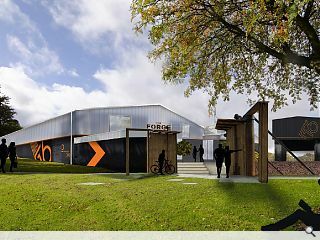 Barr's Irn Bru was invented in Falkirk and all that is left of its legacy will now be converted into a community hub...whatever that is. Good to see this former Barrs lemonade factory re-purposed and given a new life.